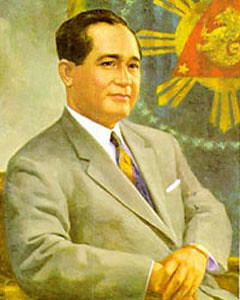 How President Carlos P. Garcia Came To Being? Before it became the Municipality of Carlos P. Garcia, several modifications took place. In the early part of the 19th century, the island was called “Lapinig Grande” with only six barrios namely: Pitogo, Aguining, Basiao, Bonbonon, Gaus and Tugas. This island and neighboring islets are still under the jurisdiction of the Municipality of Ubay. Seeing possible advancements, the Late Congressman Teodoro Galagar of the 3rd Congressional District of the Province of Bohol made the greatest effort to convert Lapinig Grande into a town. Three of the big barangays of the island: Pitogo, Aguining and Bonbonon rivaled for township. Pitogo was chosen because it has more features of a town with a safe port and nearer to both Ubay and Cebu. Republic Act 5864 was approved on June 21, 1969, making Pitogo the 46th town of the Province with 23 regular mainland and island barangays. Thus how the island is known as “Pitogo” by many. Eight years after, the Sangguniang Panlalawigan of Bohol passed the Resolution No. 48 on April 28, 1977, requesting the late President, Ferdinand Marcos to issue a decree changing the name Pitogo, Bohol to President Carlos P. Garcia. One may think that Carlos Polistico Garcia, the fourth President of the Republic of Bohol (and the eight President overall), was born in this lowly place. Actually, as history traces, Carlos was born in Talibon, Bohol, succeeded Ramon Magsaysay as the President after the late Pres. Magsaysay met his death at Mt. Manunggal in a plane crash. He is known for the enunciation of the “Filipino First Policy”, which favored the Filipino businessmen over the foreign ones. The move to change name was in lined with the national trend of honoring of the country’s heroes and men of remarkable achievements. And definitely, President Carlos P. Garcia is one of them. On October 27, 1997, Presidential Decree No. 1228 was issued amending the RA No. 5864 from “An Act Creating the Municipality of Pitogo in the Province of Bohol” into changing its former name to its current name. From now, it is simplified into Carlos P. Garcia Town. Sometimes, it is quite awkward to call the town by the name of the person and it’s a pretty long-term too, so some still used “Pitogo”. Let it not confuse you.